In which G.M. 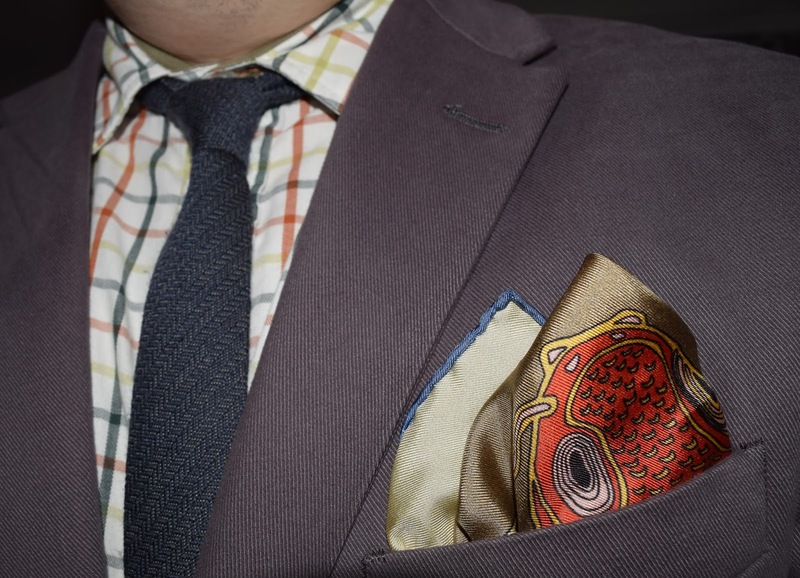 Norton catches a whopper of a new pocket square. A gentleman can never have too many pocket squares. Thankfully, they don’t take up much room so you don't risk a nudge in the ribs by a significant other and phrases uttered such as ‘taking up space’, ‘put them on eBay’. 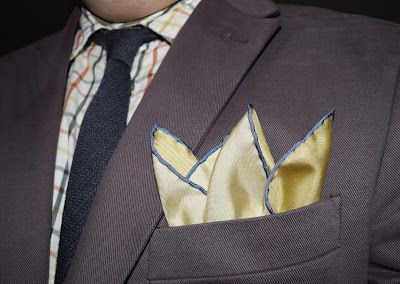 Despite this, as my pocket square collection continues to swell, I’m becoming a little more selective about which ones I add. I’m growing quite a fondness for something unique. 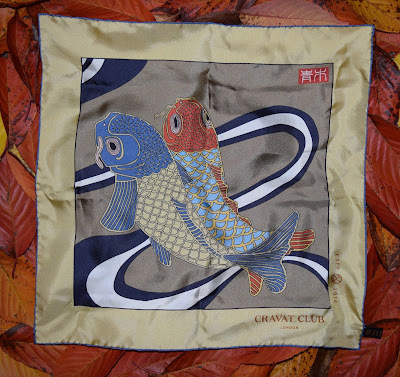 A few months ago, Cravat Club released a new collection of Japanese inspired designs. 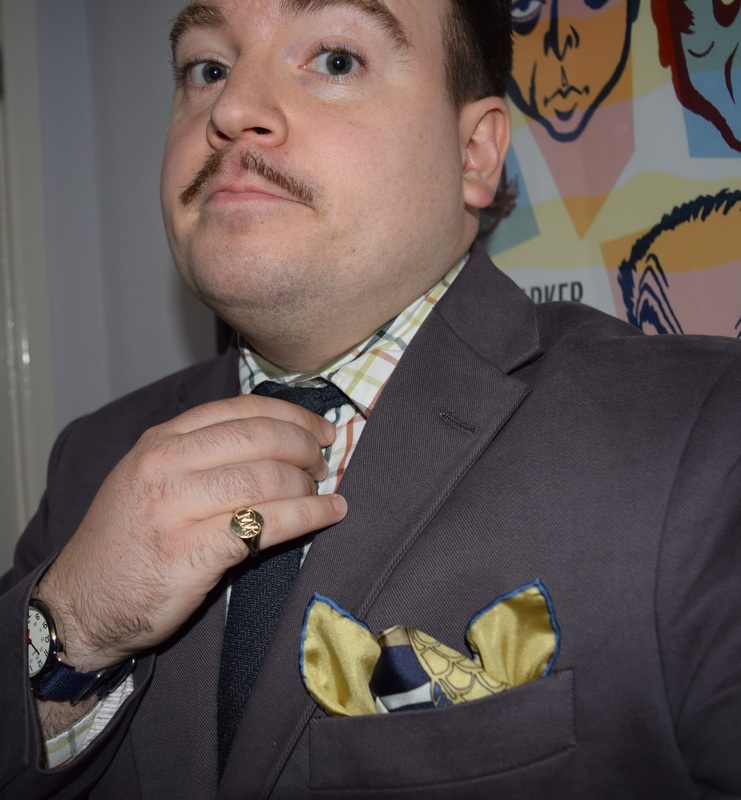 Of course, you could be forgiven for thinking that Cravat Club just specialise in silky neck adornments but they do also have a large selection of pocket squares too. Do take a look. Their ‘Ukiyo-e’ collection have been designed in that there London by Japanese artist, Yusuke Aoki. ‘Ukiyo-e’ translates as “pictures of the floating world”. 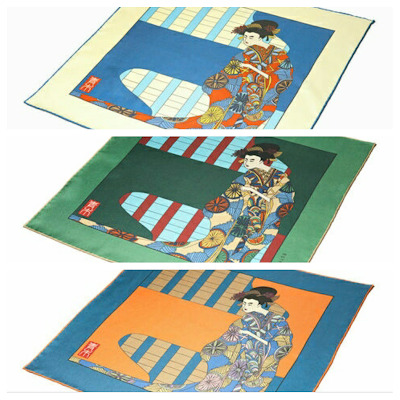 When you think of the traditional style of Japanese art, it will most likely be a Ukiyo-e painting or print. The co-founder of Cravat Club, Jenny, lived in Japan for five years and is married to a Japanese chap. I love that Cravat Club have drawn inspiration from their own personal experiences to create three beautiful designs - Mount Fuji, Maiko and Koi Carp. Each of the designs are available in different colourways. After being offered a pocket square, it was dashed difficult deciding between each of the nine different options available. 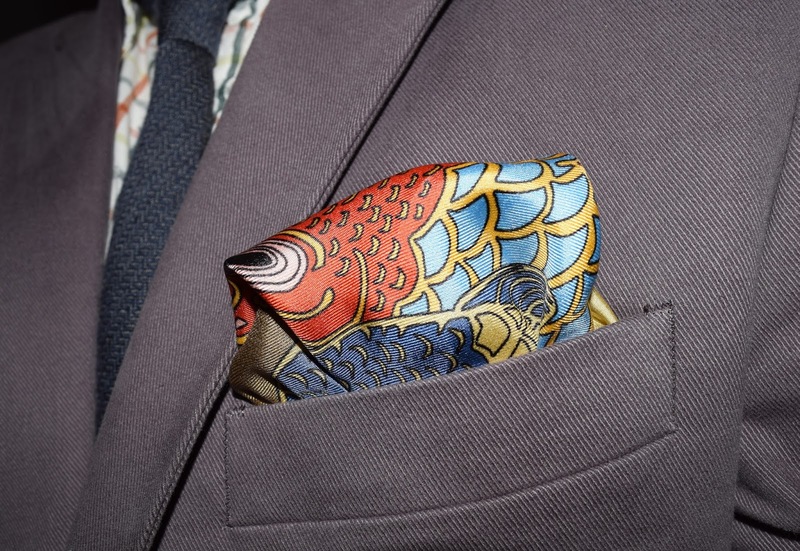 In the end, I plumped for the Kin pocket square from Cravat Club’s Koi Carp range. 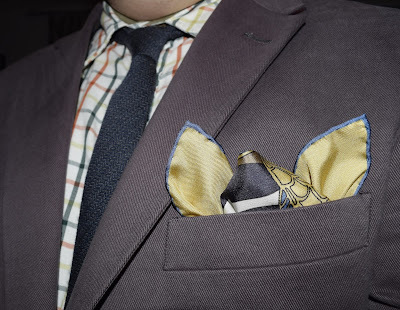 I felt that the colours in the Kin silk square would complement the things I have in my wardrobe. 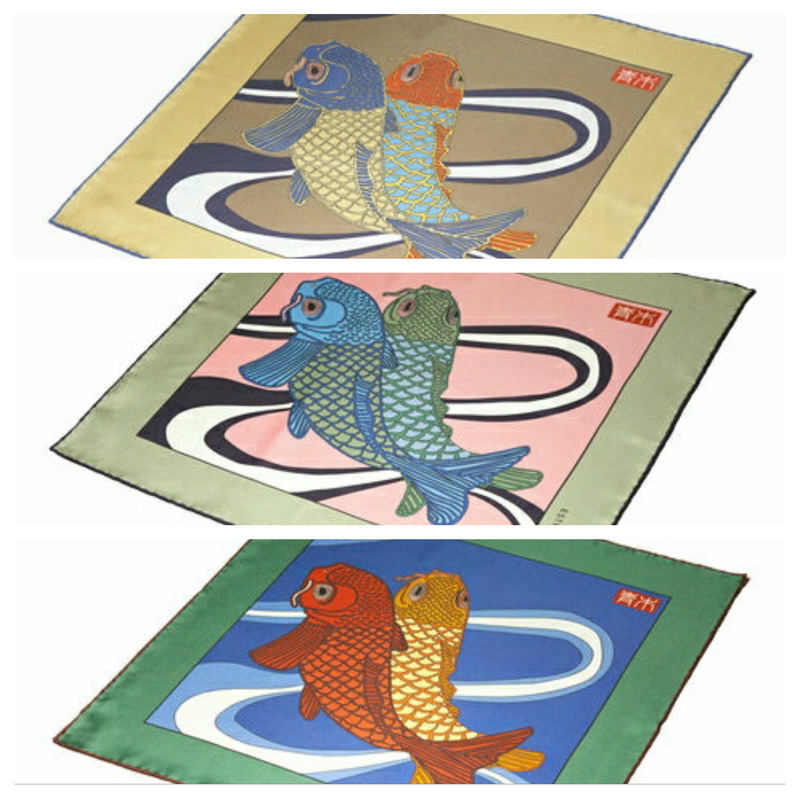 I was also drawn to the Koi Carp because of the qualities that they signify. There’s an ancient Chinese legend of a koi. Determined to jump the top of a waterfall, after struggling upstream along the Yellow River, the little koi refused to give up. For the next one hundred years it continued to try, until one day, it somehow managed to jump to the top. Recognising the koi for its perseverance and determination, the Gods rewarded the koi by turning it into a golden dragon. After reading about the legend, how could I not? 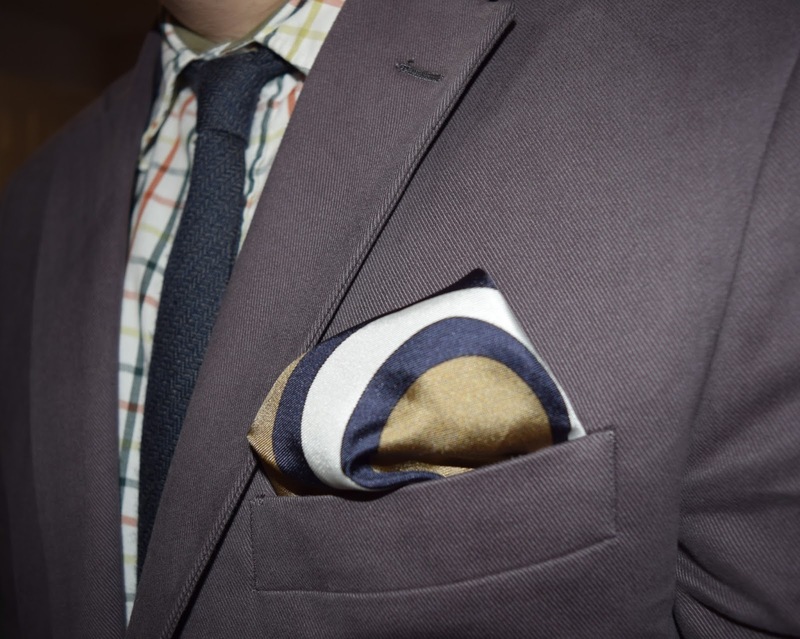 As well as being designed in England’s capital city of London, the pocket square is printed and handcrafted in England too. 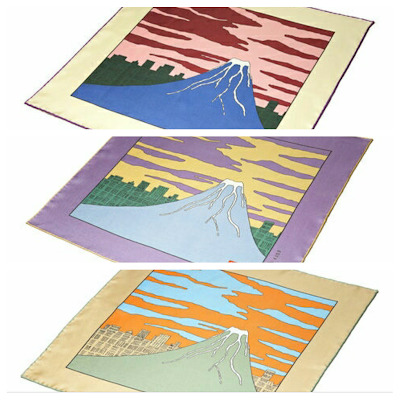 It is made from 16oz extra soft 100% silk twill and has sublime hand-rolled edges. It’s a whopper too, measuring 42cm by 42cm. Or if you prefer inches, 16” by 16”. What I love about such a detailed design on a pocket square is the endless possibilities for folds. 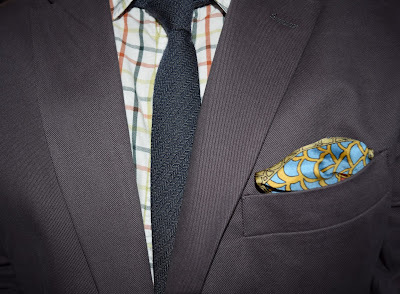 It is such a versatile piece. In fact, you could wear the same pocket square all week, without anybody but the most eagle-eyed realising that it’s the same one. Cravat Club clearly believe in doing things properly, only emphasised by the presentation, which oozes class. 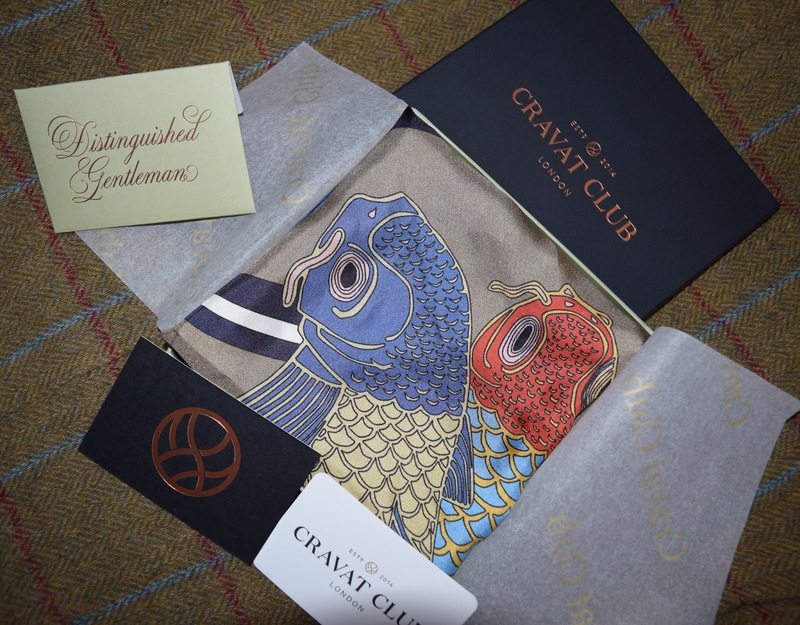 The pocket square arrived in a beautiful box, emblazoned with the gold Cravat Club emblem. 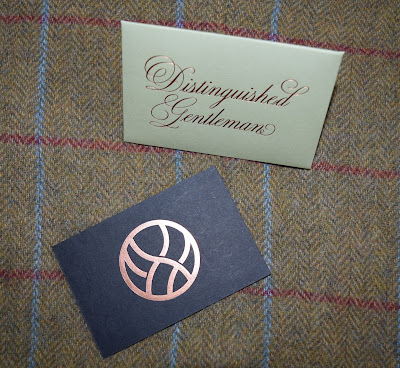 The tissue paper is all branded too and it arrived with a little envelope, addressed to ‘Distinguished Gentleman’. 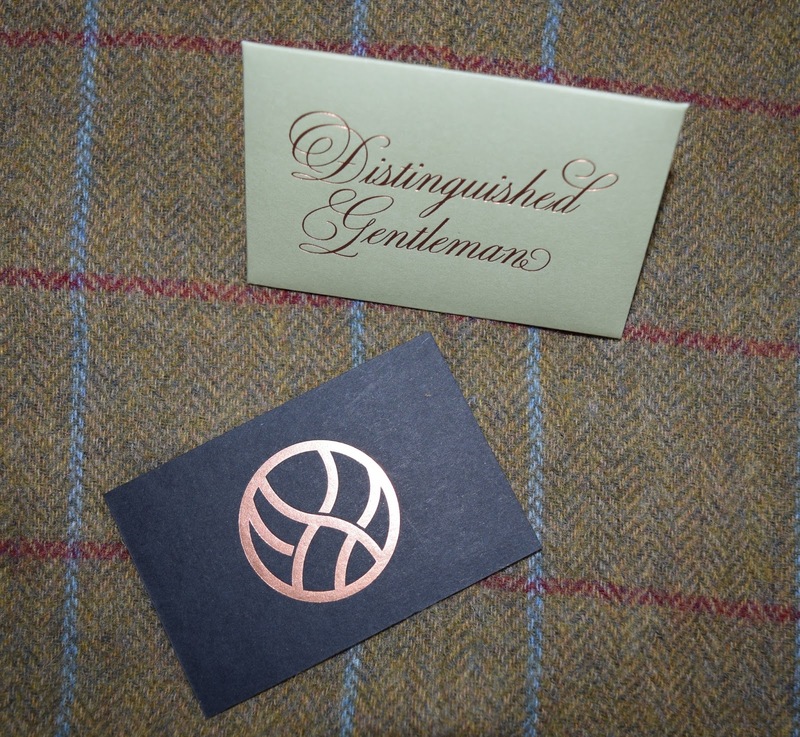 Hoping it was for me, I opened it to reveal a business card with lovely curved edges and an information card with details about the pocket square. I adore the Cravat Club symbol. It immediately made me think of James Bond’s Spectre. 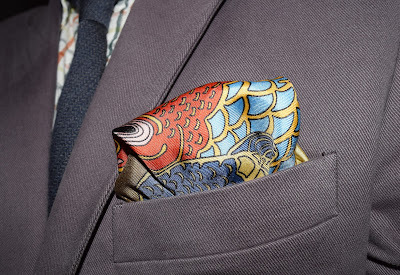 The Japanese range of pocket squares are limited edition (my Kin square is no. 19 of 100) and cost £60 each. British industry and manufacture, mixed with a generous dash of Japanese beauty and elegance make a rather potent cocktail. Do consider Cravat Club for a potential Christmas present for your loved one (or to yourself!). 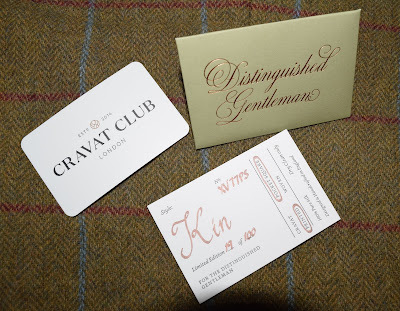 What’s more, Cravat Club also offer a gift-wrapping service.